The Department for Education’s vision for the primary PE and Sport Premium is that ALL pupils leave primary school, physically literate and with the knowledge, skills and motivation necessary to equip them for a healthy, active lifestyle and lifelong participation on physical activity and sport. We whole-heartedly subscribe to this vision. At Stourfield Junior School, we believe PE & Sport plays an important role in every one of our pupils’ lives. Delivering high quality PE lessons, along with after school activities we believe we have the potential to change young people’s lives for the better. Through the school’s Personal Learning Skills, we will help to develop resilience, cooperation, respect, aspiration and communication through physical activity. 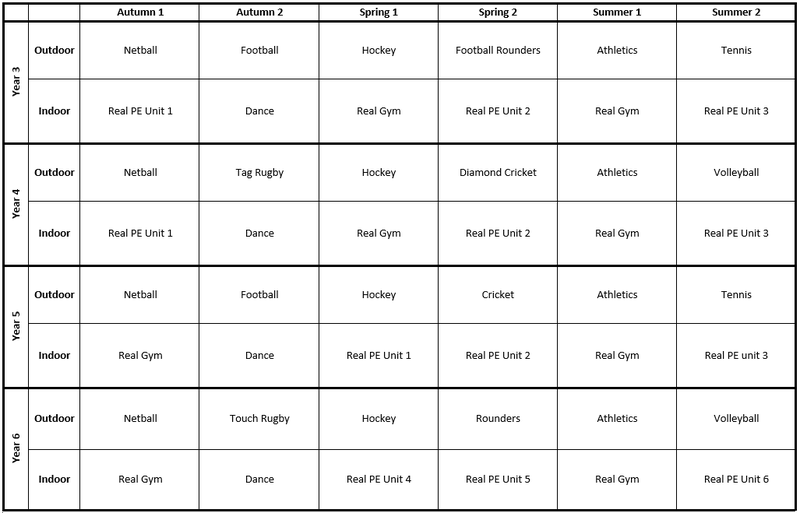 Our curriculum allows our pupils to achieve in a variety of sporting areas. A balance between developing the fundamentals and high intensity sports is crucial to develop a love of physical activity and athletes of the future. A level of healthy competition is integrated into units of work and aimed at achievement for all. After-school activities also allow us to develop our teams and further train for specific sports. We welcomed the Government’s announcement in June 2017 to continue to provide additional funding for two years to improve provision of Physical Education (PE) and sport in primary schools. We are committed to using this resource to develop high quality PE lessons, alongside greater opportunities for sporting competitions and clubs for all our young people.